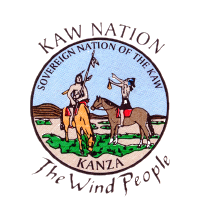 Welcome to the Kaw Nation » What is diabetes and who gets it? Diabetes is having too much sugar in the blood. Your body changes the food you eat into blood sugar. Body cells and muscles use blood sugar for energy. Some people cannot get the blood sugar into cells and muscles. The sugar stays in the blood, leading to high blood sugar. High blood sugar for long periods of time can cause problems with your eyes, kidneys, feet, heart and gums. Controlling your blood sugar will help you avoid these problems. 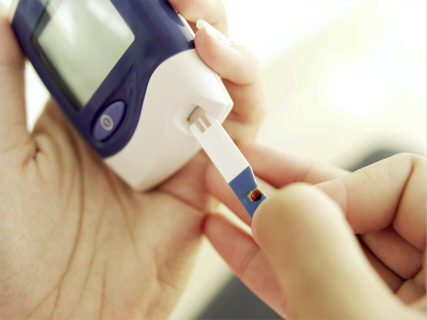 There are two major types of diabetes: Type 1 and Type 2. In Type 1 diabetes, the pancreas does not make insulin. Insulin is a hormone that helps the blood sugar get into your body cells and muscles. People with Type 1 diabetes need insulin shots to stay alive. Most Native Americans who have diabetes have Type 2 diabetes. In Type 2 diabetes, your pancreas makes insulin, but may not make enough. Also your body cells and muscles may not allow insulin to do its work, allowing the blood sugar to get high. But other people with high blood sugar feel no body changes. Some people can have high blood sugar for a long time and not feel any body changes. Diabetes sometimes leads to problems such as heart disease, stroke, nerve damage and kidney or eye problems. In fact, two out of every three people with diabetes die from stroke or heart disease. But you can cut your chances of having these problems by taking care of the ABCs of diabetes [go to the ABCs page here]. The American Diabetes Association says a typical blood sugar level should be between 90 and 130 when you wake up and before meals, and below 180 two hours after meals. Check with your health care professional about your target numbers. Keep track of your blood sugar levels by downloading a blood sugar level chart here.